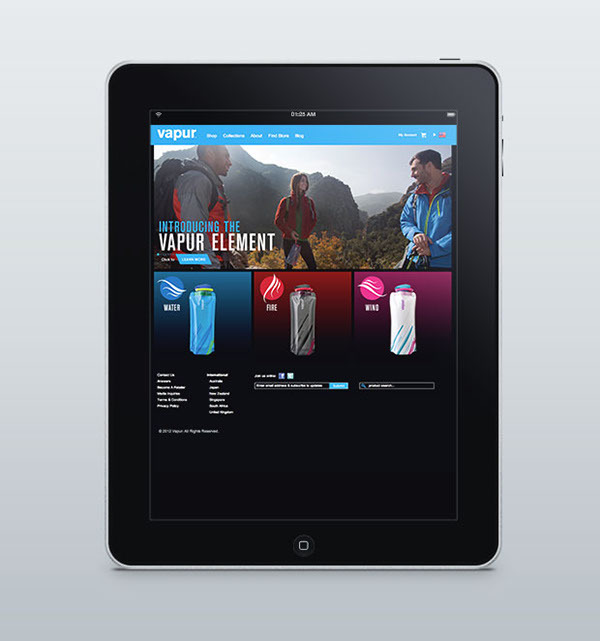 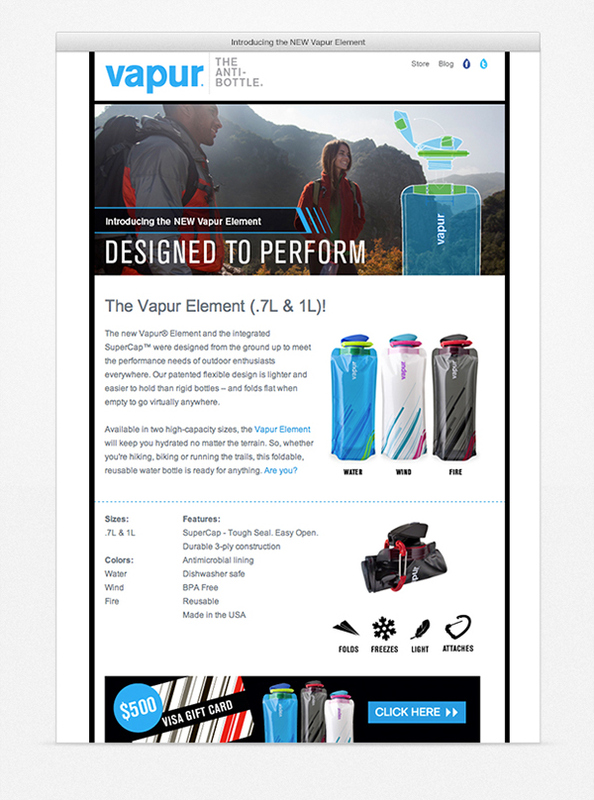 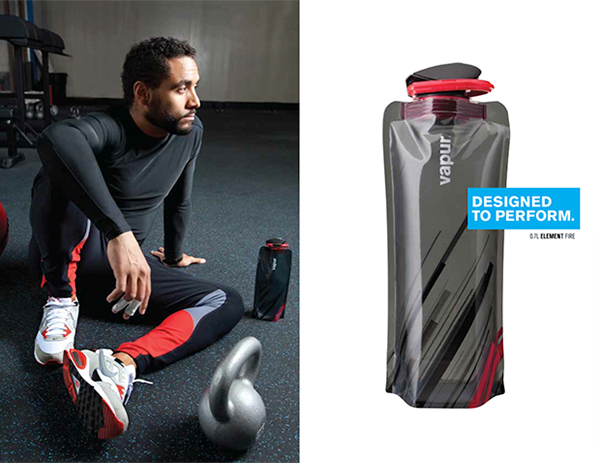 Vapur® is a product design lab currently focused on perfecting the foldable water bottle. 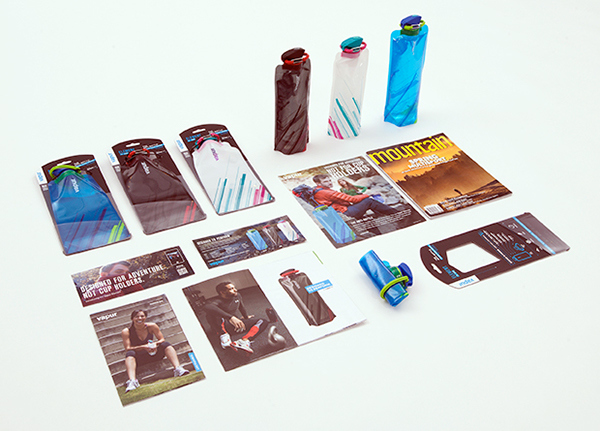 As Creative Director at Vapur, Frez Ferrino was tasked with leading the creative team on product design, packaging, merchandising, advertising, campaign assets and sales/marketing collateral. 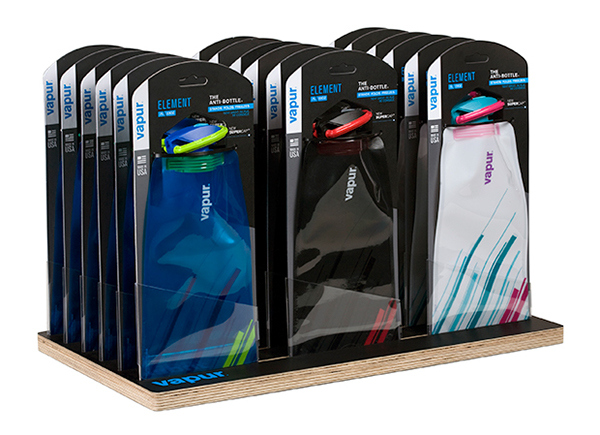 The project was to advance the existing 'Anti-Bottle' for sports and outdoor users and to successfully bring to market the improvements without downplaying Vapur's signature product, the Reflex. 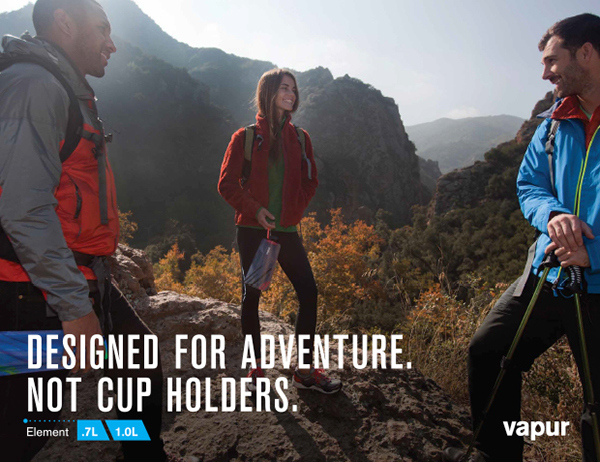 The result is the Vapur Element™ featuring the iconic SuperCap™, increased water capacity (0.7L & 1.0L) and 'Ascent' graphic design treatment. 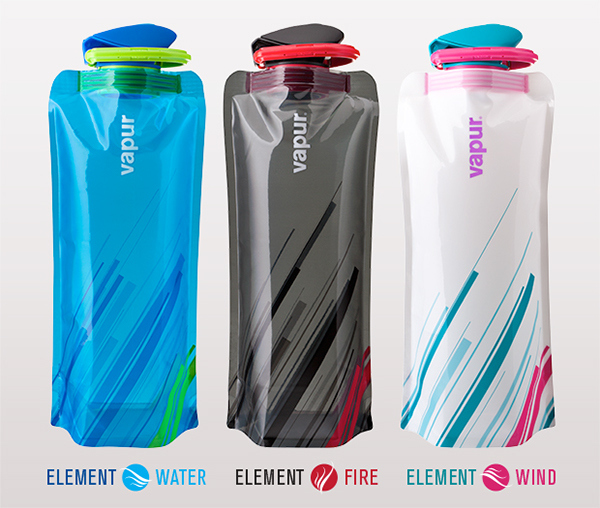 Available in Water (Cyan/Electric Green), Wind (White/Hot Pink) and Fire (Cool Grey/Red), while supplies last. 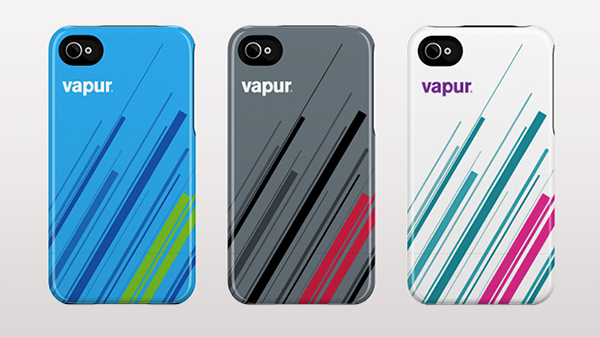 The Vapur Element is available for purchase HERE.